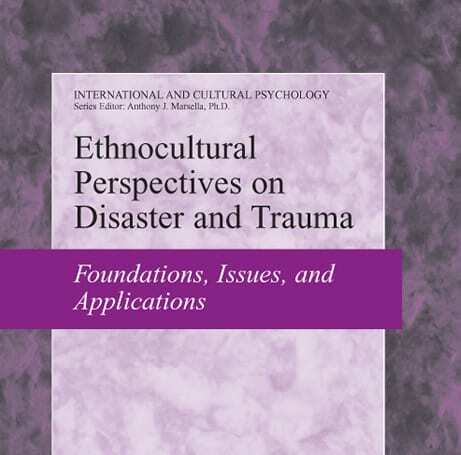 FRI is pleased to announce that Jeannette Johnson, Ph.D., and Jan Gryczynski, M.A., were co-editors on a recently published book entitled “Ethnocultural Perspectives on Disaster and Trauma: Foundations, Issues, and Applications.” Beyond their significant contributions to this volume as co-editors, they also contributed to this work by co-authoring two chapters. This unique volume provides important information regarding major minority groups in the United States in order to improve disaster relief efforts, practices, and policies. FRI congratulates Dr. Johnson and Mr. Gryczynski for this important contribution to the literature.